Introducing the Ice Climbers. 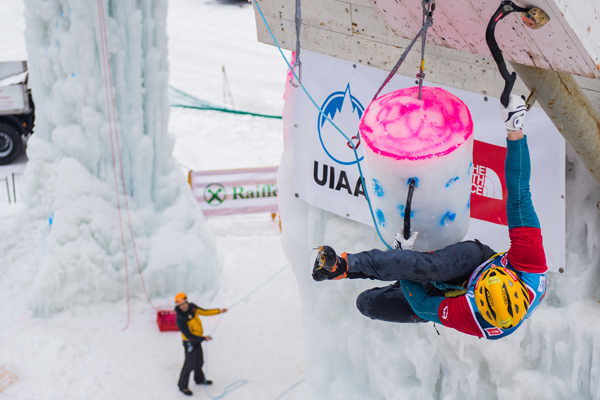 Profiling the UIAA Ice Climbing World Tour’s highly-talented, determined and skillful athletes. Gordon ‘Gord’ McArthur (1979) is one of the familiar faces on the UIAA Ice Climbing World Tour and a man so committed to the sport he built a climbing structure in his back yard in Cranbrook, British Columbia, located in the heart of the Rocky Mountains. McArthur is currently training intensely for the new season, both in the gym and on his impressive climbing structure, named ‘the Machine’. Built in his back yard, its arch is 35 feet high, with a bouldering wall measuring 16 x 35-ft. Add to that a 20-ft high bouldering cave for a structure which offers eight different routes on its arch and over 50 problems to tackle on the bouldering cave. Akin to Roger Federer having a tennis court in his back garden or Usain Bolt a 100m track. The ultimate dream for Gord and many of his fellow athletes is tinged with gold. A gold medal at the Olympics. 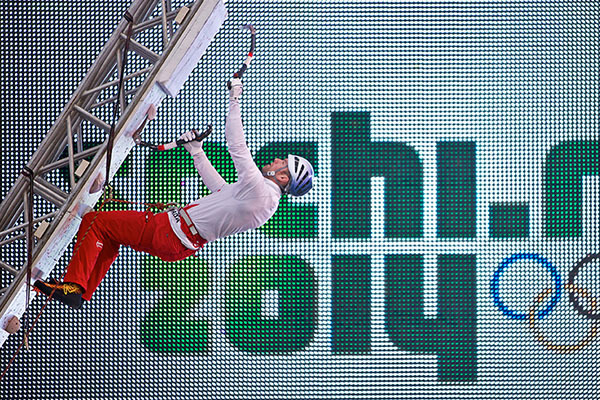 “The idea of ice climbing being an official Olympic sport is the ultimate. To see our sport grow to that level, well, that’s the dream. Whether competing or coaching, the thought of that opportunity would be amazing.” Supporting the UIAA on its Olympic path, McArthur was one of the athletes who took part in the ice climbing demonstration at the 2014 Sochi Winter Olympic Games. Since 2010 Eimir McSwiggan has been based in South Korea where she works as an English teacher. Initially only planning on staying a year, she has now been there for six and it was in Korea that she discovered the sport of ice climbing in 2011. Two years later she joined the UIAA Ice Climbing World Tour. Eimir is improving season after season, with the most recent four-event World Cup series proving her best, where she finished tenth in the overall lead rankings. “The highlight was making it into the finals in Cheongsong. I learned a lot about my weaknesses throughout last season and have a lot of skill and strength areas I would like to work on before next season arrives.” She pinpoints ‘a strong strength and technical base, efficient and smooth movement, really good endurance, confidence and the ability to withstand a bit of cold and misery from time to time,’ as key components to making the grade in the sport. 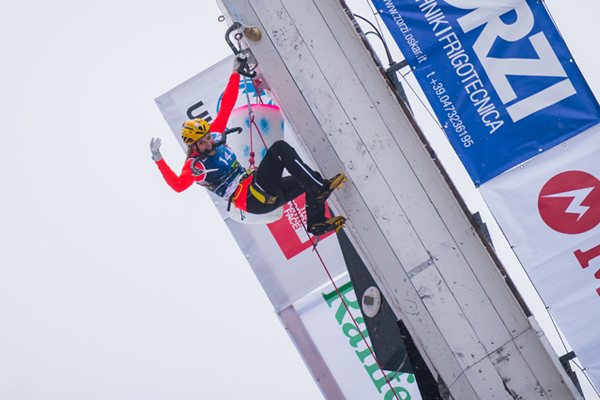 Swiss climber Petra Klingler proved to be one of the star performers on the 2016 UIAA Ice Climbing World Tour, finishing fifth overall in the women’s lead discipline and collecting two silver medals from three events. Petra’s silver in Saas Fee was an improvement on last year’s bronze medal although her overall ranking position in 2015 of second remains her best season. This included a gold medal in the event held in Kirov, Russia. “The key in ice climbing is believing you can do it. You also need to work hard on your weaknesses,” explains Petra, who is currently studying sports and economics at the University of Bern and dedicates much of her spare time in the summer to bouldering. Her favourite place to ice climb is Kandersteg. “If ice climbing becomes an Olympic sport, it would be a dream and an amazing opportunity to compete in the Games,” closes Petra. In both the lead and speed disciplines, Yann Gerome (born 1977) was the best performing French climber at the 2016 UIAA Ice Climbing World Cup. The aforementioned Cheongsong is an event close to Yann’s heart, one he describes as ‘having excellent organisation and an awesome ice climbing wall.’ His favourite place to climb is Cogne in the Valle d’Aosta and most treasured moment in the sport was achieving his first Grade 6 in Glacenost, a natural ice fall in the Maurienne valley, France. In preparation for the new season, Yann has been cycling and running and will soon be familiarising himself with his ice tools again and hitting the climbing walls with gusto. Yann believes ‘strength and experience’ are the core components of what make a great ice climber and has his heart set on reaching the final of the UIAA Ice Climbing World Championships, which will be held in his home country in 2017. Away from ice climbing, Yann works as a mountain rescurer for the gendarmerie in France. A true alpine spirit. “Can’t live without…” is how Marianne van der Steen (born 1984) explains her relationship with ice climbing, a sport she commenced seven years ago after climbing on a waterfall in Iceland, her favourite country for ice. Marianne had a mixed 2016 UIAA Ice Climbing World Cup season, admitting she had her worst year in lead (ranked 15thoverall) and best ever in speed (finishing in the top ten). Her favourite venues are the European legs in Rabenstein and Saas Fee, which she describes as “nice people, great culture, beautiful mountains and surroundings.” Out of season, she sport climbs and keeps fit in the gym, and her work as a bike messenger in Rotterdam, as a climbing coach, first aid instructor and a rope access engineer plus an active daily fitness programme keep her in tune. 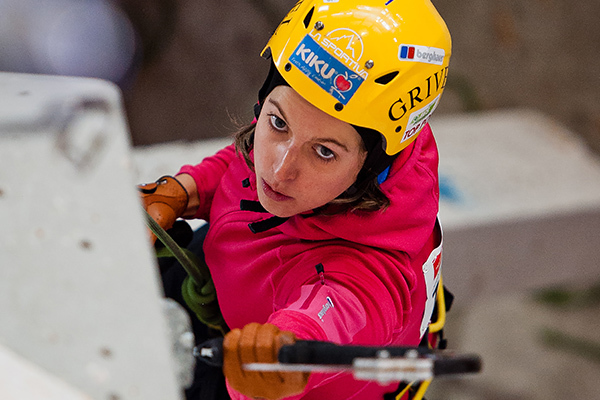 Italian climber Angelika Rainer (born 1986) is one of the most consistent performers on the UIAA Ice Climbing World Tour. Over the past seven seasons she has twice topped the World Cup rankings in lead (2012, 2015) and finished second four times. She has also held the World Champion crown on three occasions. The most recent season proved frustrating although she still managed a bronze medal during the World Cup event in Bozeman, USA. Angelika began ice climbing in 2005 and first joined the World Tour a year later. She was drawn to the technical aspects of the sport, notably using an ice axe and crampons. Dividing her time between hometown Merano and Bergamo, she has a soft spot for ice climbing in Canada, where in the past she has channeled her competition spirit in climbing routes along the Helmcken Falls, British Colombia. Angelika pinpoints arm strength and core power coupled with good technique as the key physical attributes needed to succeed in the sport. Equally, she places strong importance on mental fortitude – typically concentration in alleviating pressure in the competition environment and when climbing outside estimating danger and overcoming fear. Of the UIAA Ice Climbing World Tour events, she enjoys the atmosphere of Bozeman, particularly the friendly nature of the organizing team. She is also looking forward to climbing in Champagny-en-Vanoise next year during the 2017 UIAA Ice Climbing World Championships, supported by The North Face Korea. 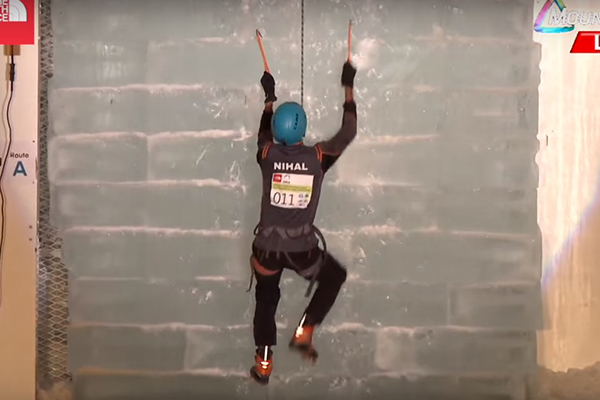 Nihal Sarkar (born 1995) was the only Indian ice climber to feature in the 2016 UIAA Ice Climbing World Tour ensuring he is somewhat of a pioneer in his country. He made his competition debut during the Asian Championships in Cheongsong, South Korea. Nihal lives in Siliguri, at the foothills of the Himalayas, located in the Darjeeling district of West Bengal. His love for mountaineering was fostered after he completed his first significant expedition – to Mount Stok Kangri (6,121m). This inspired an interest in glaciers and icefalls. Ascending them became a natural progression. Through joining the UIAA Ice Climbing World Tour, supported by the North Face Korea, Nihal is grateful for the support he has received from organisers and fellow athletes, especially in honing core technical skills. Back home, plans are afoot to construct an ice climbing wall in Nihal’s region, a development which he hopes will inspire other young athletes to take up the sport. In the meantime, Nihai develops his skills by climbing in the gym, focusing notably on hand power and flexibility of the leg muscles. His ambition is to win a UIAA Ice Climbing World Tour competition and one day represent his country at the Olympic Games. Slovenian Janez Svoljšak (born 1993) is based in Škofja Loka and began ice climbing in 2010. During the 2016 UIAA Ice Climbing World Tour, supported by The North Face Korea, he claimed a gold (Rabenstein) and a silver (Saas-Fee), was crowned European Champion and finished third overall in Lead. He describes the season as his ‘best, especially topping the final route in Rabenstein’. Despite his success, Janez admits to needing to ‘improve technique, especially footwork’. He believes good technique in using the ice axe on small edges, strong arms and core muscles are vital components of being a successful ice climber. A fan of hard and technical routes, the Canadian Rockies are his favourite climbing spot. Janez begins specific training for the new season in August, but keeps in shape alpine and sport climbing as well as ski touring. Hannarai Song (born in 1992) lives in Ilsan, South Korea and began climbing at the age of ten. 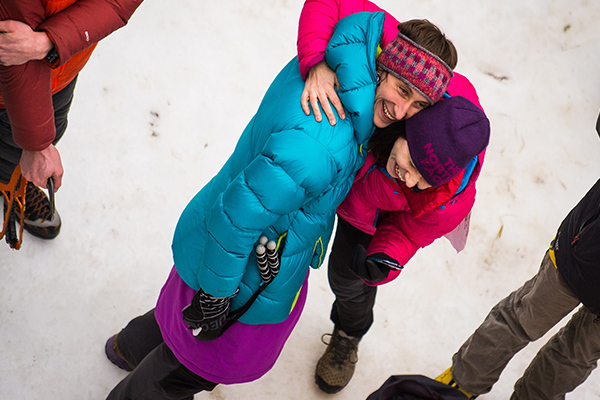 She made the transition to competitive ice climbing in 2012. 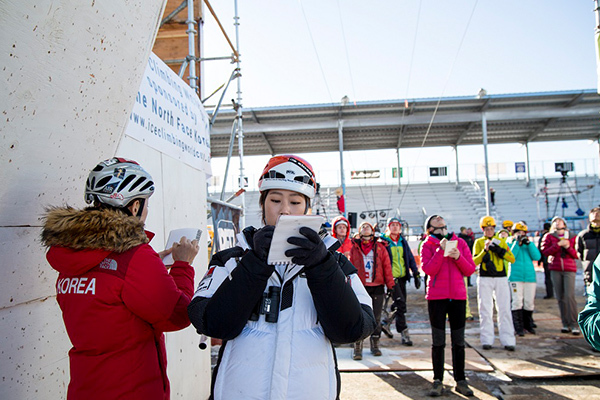 This was her third season competing in the UIAA Ice Climbing World Tour, supported by The North Face Korea. A strong performer in the lead discipline, Hannarai claimed gold at the Rabsenstein World Cup and silver in the Asian Championships in Cheongsong. As a youngster Hannarai was sensitive to the cold and often ill, which left her feeling lethargic and not wanting to do anything. Climbing helped her become physically and mentally stronger – ‘making me feel alive, free and peaceful’. No surprise then that Hannarai cites ‘mental strength and enjoyment’ as key to succeeding in the sport. Through the UIAA Ice Climbing World Tour, Hannarai has made many friends, ‘amazing people’ with whom she keeps in touch during the off season. In her home country, she loves climbing on Mount Seoraksan, appreciating the huge waterfalls and amazing views from the summit. She trains hard throughout the year, whether competitive sport climbing, cycling or jogging. With her father she has set up an indoor climbing gym training athletes and amateur climbers. Hannarai’s ambitions include one day winning an Olympic gold medal and after studying a doctorate, becoming a sports diplomat. She admits to having a lot to learn about ice climbing and a strong desire to climb in many new environments. If ice climbing becomes an official Olympic sport, Hannarai believes ‘more and more people will be able to enjoy this amazing sport’. Maria Tolokonina (1986) is one of the world’s greatest ice climbers. 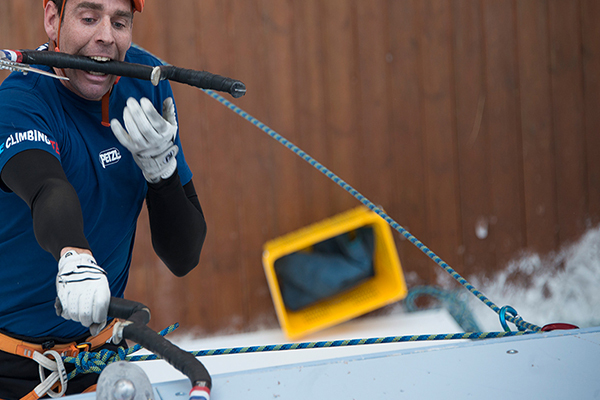 Four-time UIAA Ice Climbing World champion in speed, four-time in lead. Maria won both disciplines in 2016, only the second time this has ever been achieved by an athlete. The peerless Maria also conquered both events in 2009. Hailing from Kirov, Russia, Maria first began competition ice climbing in 2003 and in 2016 celebrated her most successful season to date. During the UIAA Ice Climbing World Tour, supported by The North Face Korea, she amassed seven gold medals and one silver. She is a fan of extreme sports, rock climbing and the triathlon disciplines. She believes lead and speed are equally difficult, in lead the priority is ‘interesting and difficult routes’, in speed ‘the quality of the ice’ counts. Maria believes patience, endurance, force and a huge work ethic are needed to succeed in ice climbing. Maria doesn’t have a favourite victory but holds a burning ambition to ice climb one day in the Winter Olympic Games. Kendra Stritch, born 1982, made history in 2014 when she became the first North American to win a stage of the UIAA Ice Climbing World Tour. This historic success arrived on the speed wall in Bozeman, Montana. Kendra, based in Stillwater, Minnesota, began ice climbing in the winter of 2007 and joined the UIAA World Tour circuit in 2012. The cold winters of Minnesota and her passion for climbing meant scaling ice was a logical progression in her sporting career. Progress is a key word for Kendra who on the last World Tour achieved her best ever overall ranking, finishing sixth in speed after three top ten results. A positive step for an athlete whose ultimate ambition is to become overall World Cup speed champion. Despite her recent success on the wall, Kendra’s favourite memory from the most reason season didn’t involve her own exploits on ice. 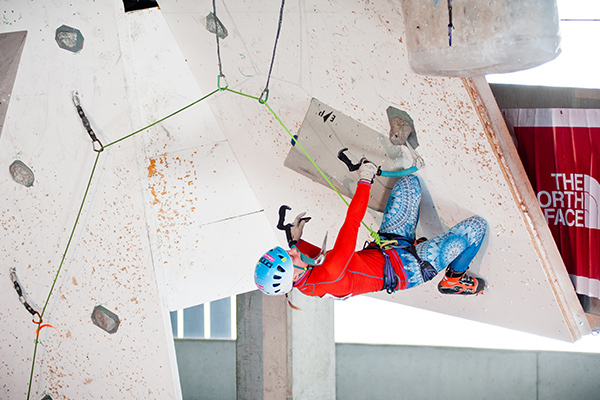 “The best moment of this season was helping organize and support the youth climbers during the Youth World Championships in Rabenstein,” she admits. Kendra enjoys the international nature of the world tour, the family atmosphere and the chance to share goals and experiences with other athletes. Working full-time as a Strategic Project Manager, the Canadian Rockies in Alberta are her favourite place to climb, and in tune with many of her fellow competitors she has developed her own training facilities at home – in her case speed walls made of plywood and log. She also trains weightlifting and rock climbing and has a background in rugby and slalom skiing. 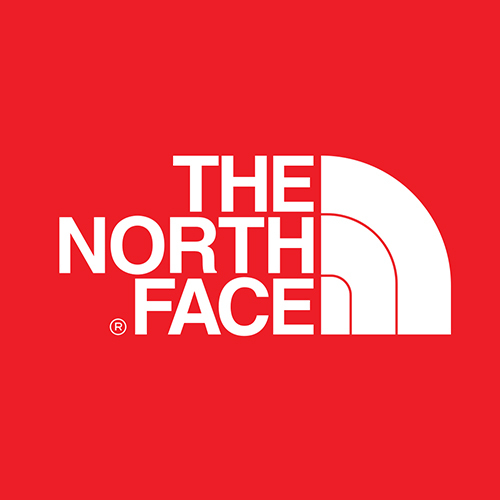 The North Face Korea has been proud sponsor of the UIAA Ice Climbing World Tour since 2013.